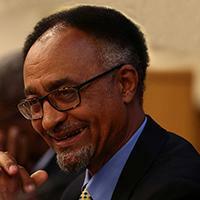 Dr. Assefa Bequele is the founding Executive Director of The African Child Policy Forum (ACPF). His career includes long years of service in the United Nations system (International Labour Organization (ILO) in Geneva, Asia and Africa). He has devoted most of his professional life to the promotion of the rights and welfare of children, especially the progressive elimination of child labour. He was responsible for many years for the design, development and management of the ILO’s International Programme on the Elimination of Child Labour (IPEC) – the world’s premier technical programme on child labour – and the development of ILO Convention on the Worst Forms of Child Labour (Convention No. 182). Dr. Assefa has extensive experience in teaching at universiities in both Ethiopia and the United States of America (USA), and is the author of many publications and articles on child rights and economic development.